Figures: Harry Potter, Ron Weasley, Hermione Granger, Hagrid, Fred Weasley and George Weasley, two Gringotts Goblins, Mr. Ollivander, Lucius Malfoy (with Death Eater disguise), Fenrir Greyback and four new, decorated owls. Figures: Harry Potter, Remus Lupin, Gregory Goyle, Dementor, Lucius Malfoy, Neville Longbottom and Proffessor Sprout. 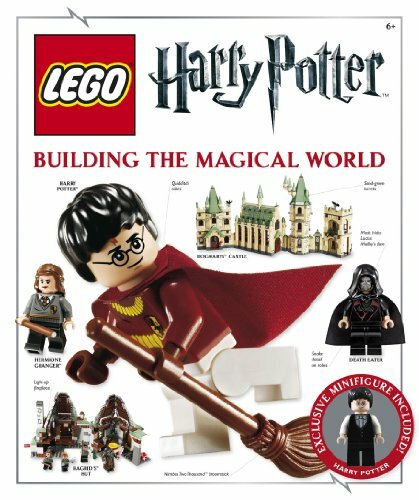 Lego Harry Potter visual dictionary. Exclusive figure: Dress Robes Harry. Goodness, what a 24hour period eh ? A new sci-fi theme, redone MF, more Nijnago, snnek peaks at POTC.....now three sets from the last film - I can't wait for the images to start appearing ! But again, we'll end up with a clone army of Harry's ! Keep on casting Christmas spirits ! This set sounds very good! It should be able to attatch to Hogwarts Castle! Knight Bus ! I am so excited to see pictures! Next year is just too exciting. Brilliant news I have to say! It's nice we've got Diagon Alley, but its good the Potter line isn't ending here! Once again, you can colour me hyped! I am very excited for these, hopefully they won't add random figures everywhere this time. Imagine if the Battle of Hogwarts set turns out to be the Death Star of the Harry Potter theme... it will be a monster!!! I can already check off the number of figs that will make this set significant: all the Weasleys minus Charlie; The 4 head of houses plus Headmaster Snape; The entire Order; Most of the main Death Eaters (Carrows, Dolohov, Bellatrix, Malfoy Family, Rowle, Yaxley, etc. ); so many students! Lavender Brown, Dean Thomas, Patil Twins, NEW NEVILLE!! And all the creatures: GIANTS! Acromantulas! Nagini! Im actually excited for the forbidden forest, centaurs anyone? Imagine if the Battle of Hogwarts set turns out to be the Death Star of the Harry Potter theme... it will be a monster!!! 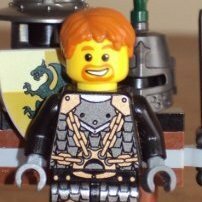 I agree, there's no way TLG are going to include all the minifigs that people are anticipating in "Battle for Hogwarts". I'm guessing it will be similar to the SW sets "Battle of Naboo" (10 figs, mostly battle droids) or "Battle of Geonosis" (4 figs?). It won't be the entire battle, just one scene from it. A couple of Death Eaters, a couple of heroes. And another Harry, because we really need more of those. I was wondering why there isn't a ministry of magic yet. 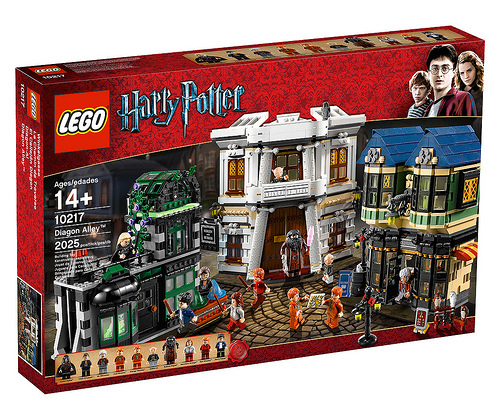 I'm really excited that we are getting more Harry Potter sets. Even though we will undoubtedly get Harry, I'm hoping they will leave out Ron and Hermione in the Hogwarts set so there is room for other figures. Especially ones that can easily fit into town/city themes. Here's my minifig ideas for the other future HP sets. The first Knight Bus makes up my entire purple Lego collection, so if another one includes more, count me in! I wonder what the Battle of Hogwarts will look like. We already got a full-size Hogwarts castle (four times). Some people are saying a very large set, but I'm thinking smaller, like a large version of the little cut-away corridor scenes that the first HP line had. If you look at the age ranges, it seems like these won't be too big of sets. The age range for this year's Hogwarts Castle is 8-14 according to S@H, and Diagon Alley says 14+, so if the Battle of Hogwarts says its 7+ it can't be like a 'Death Star' set with a boatload of figs. Sorry to poop [hehe] on anyone's parade. I'm not sure if it's very probable, but I'm certainly hoping so! As there's also the Knight Bus, which IIRC doesn't appear in the last book (and thus, movies), the Forbidden Forest set could also be based on any of the books. And I think it's somewhat unlikely, actually, that they would base the set on the Deathly Hallows - the Forbidden Forest scene of the Deathly Hallows is after all a bit dark scene and would only include Harry, Voldemort, death eaters and trees. Some scene from the earlier books seems likelier. And centaurs would certainly be cool. Centaurs are definitely cool; but I also hope to see unicorns, as it was quite a prominent feature of Harry's first journey into the Forbidden Forest. Thanks so much for this information! These sets sound fanastic. I can't wait to see some pics! Also, could someone tell me how I could get my hands on a 2011 catalogue?